First things first. You'll remember, if you're an avid reader of Netflix and Children, my search for new Zealand's number one historical joke book, despite being unsure of its existence. And I can confirm, that yes, I am one step closer, for Mr Jason Gunn has replied to my correspondence! 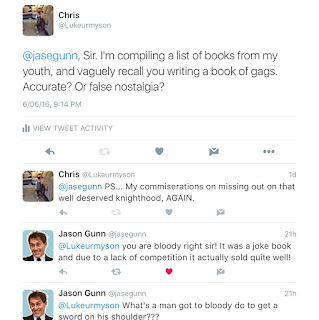 Indeed, Netflix and Children has the exclusive scoop that (a) Mr Gunn did compile a book of jokes in the early 90s, which was at the pre world-wide-web time, a lucrative earner, and (b) that he is indeed miffed at being incessantly passed over in his attempts to secure a (admittedly well deserved) knighthood for services to the gunge industry. So, I implore you, please, if any reader should have a copy of this book, please let me know, for potential reviewing purposes. And now, on to serious business. Those with adequately functioning mid-term memories may remember a time last year when the more affluent suburbs of central Auckland were struck with a pestilence, one which restricted their travel with fresh fruit stuffs outside the confines of their immediate neighbourhood. How the beautiful people howled at the indignity of having to pre-prepare their organic kale and acai berry smoothies before heading to the crossfit gym. Gradually, restrictions were loosened, and a mango could be carried between Ponsonby and Herne Bay, so long as it bore a thick layer of cling film and Faro Fresh branding. Today, the plague has lifted, and the affluent Jafas are able to take their five plus a day to work, school or play once more. 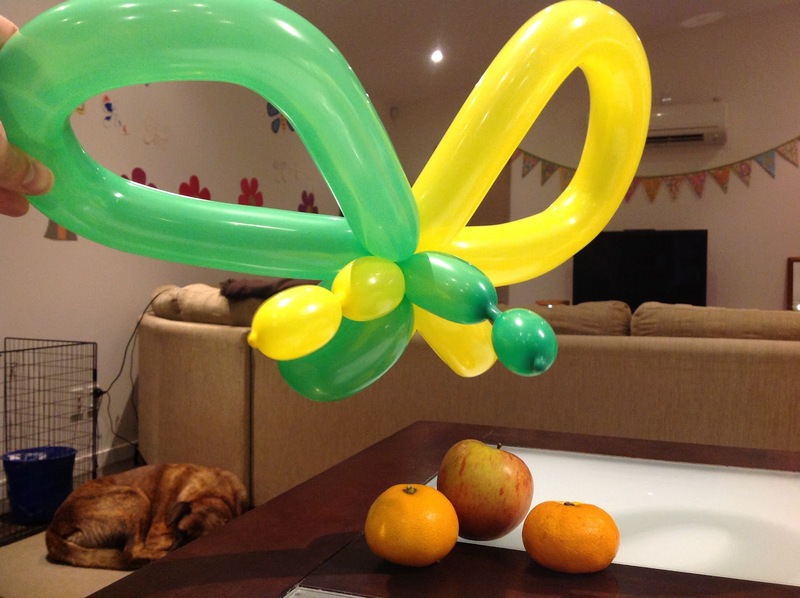 Here is my balloon depiction of the 2015 Grey Lynn fruit fly, laying siege to New Zealand's horticulture industry. Still, it could have been much worse for the rich and well to do, had it been the Queensland Quinoa Fly, the Fijiian Moet and Chandon Grub or the South American Ferrari Weevil that had been discovered lurking in Remuera.